Two drivers stay the same at Vitaphone this year – but Michael Bartels and Thomas Biagi will be joined full-time by Jamie Davies and Andrea Bertolini, in the Maserati MC12s in the FIA GT Championship. 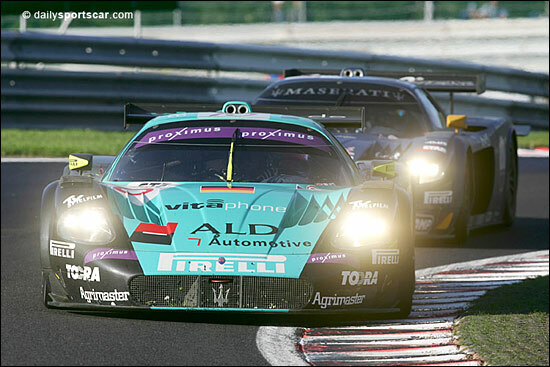 Bertolini drove the #15 JMB MC12 last year, while Jamie Davies (right) raced a Vitaphone car in the Spa 24 Hours, where he set the fastest lap (photo, below). 2005 drivers Fabio Babini and Timo Scheider have moved on to other projects this year – but the new line-up is arguably even stronger. The team has focused on tyre development over the winter – working hard with 2005 supplier Pirelli. "I'm delighted to get this opportunity thanks to Pirelli," Jamie told dsc yesterday. "It was a bit frustrating last season with only a rather disjointed programme but the MC12 is a fantastic car. 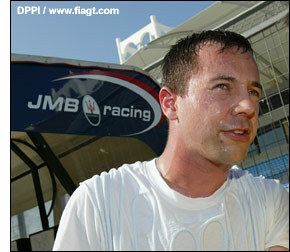 I raced not only for Vitaphone at Spa but also for JMB at Bahrain and set fastest race lap on both occasions. The team is very strong and with the line-up we've got we'll be strong contenders." "The Corvettes will be very strong I'm sure, the key though is whether they can run with us over the whole length of the race." That’s a reference to winning the teams’ championship in 2005 – and coming very close to the drivers’ too.